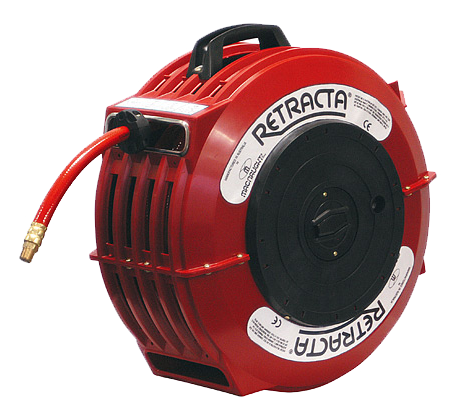 Retracta spring rewind hose reels offer performance, reliability and versatility for all popular hose applications. Constructed in high impact UV stabilised polypropylene for all-purpose corrosion free durability, Retracta reels can be installed indoors or out. They are particularly suited to washdown applications in food processing as an alternative to conventional stainless steel reels. Each reel is supplied with fitted hose and a choice of lockable mounting brackets for wall, floor, bench or overhead installation. The sprung loaded latching mechanism allows latching of the hose at any length, whilst the low rewind tension makes the Retracta particularly easy to use.